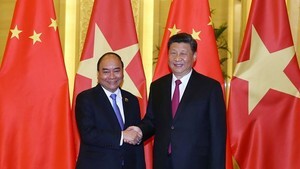 The signing ceremony was attended by leaders of major news outlets such as the Vietnam News Agency and Vietnam Television. 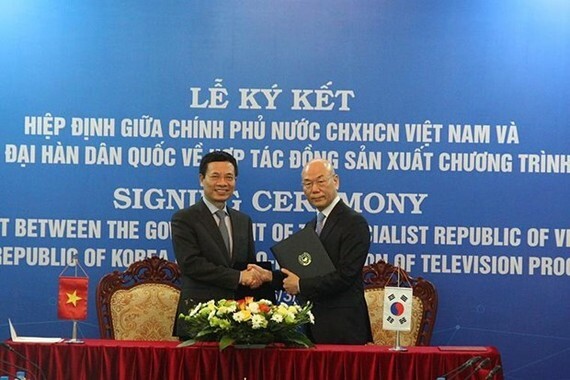 Under the agreement, the Republic of Korea (RoK) and Vietnam’s television producers can register the co-production of TV shows to each other’s relevant agencies for approval within 50 days. Where cases are denied, the reasons given must be made clear. The broadcasting of co-produced programmes must be in line with the regulations of each side. Each producer must contribute at least 10 percent of fundings to the programme, which will be also carried out by Vietnamese and Korean staff. During a working session before the signing ceremony, Minister Hung and Chairman Lee shared the view that the coverage of each other’s countries, people, and cultures on television programmes will create a driving force for long-term bilateral economic cooperation. Minister Hung suggested establishing a joint working group to realise the agreement, as well as holding seminars, training courses, delegation and reporter exchanges to boost cooperation in response to future trends, especially concerning the growing use of digital technology in the field. Lee, for his part, agreed with the host’s proposal. He informed Hung that the commission will hold a seminar on the co-production of television programmes in June 2019, expressing his hope that Vietnam’s television stations would join the event to share experience. According to him, the commission will also set up a global content working group. He hoped for Vietnam’s involvement in the process to discuss orientations for the development of the television industry.